Winter driving is its own peculiar beast, and when it comes to your vehicle, there are three must haves to combat these challenging conditions – traction, clear vision and heat. Luckily, your car is set up to tackle the worst of winter without much more than regular maintenance from you. 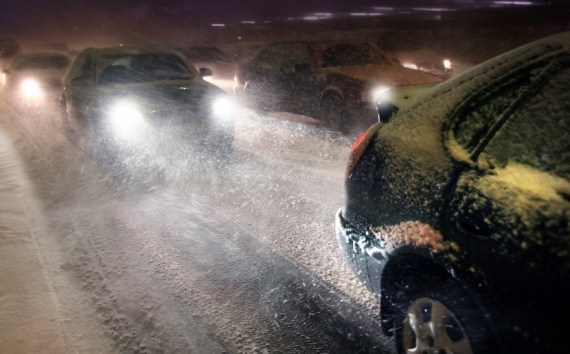 Here’s how your vehicle helps you stay safe during winter driving. All-important traction on treacherous snow- or ice-covered roads begins with your tires. 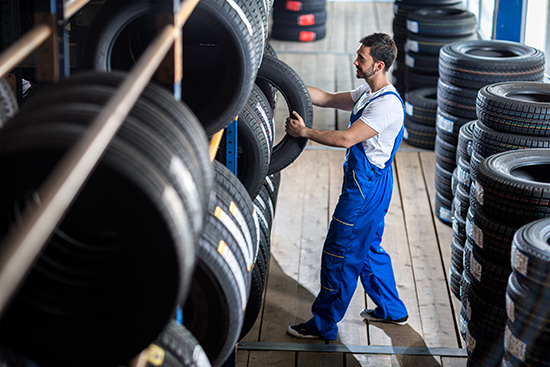 Tires that are closer to the beginning of their lives still have much of their original deep tread and are going to provide added starting and stopping power. It’s easy to see how much tread your tires have remaining by performing the penny test, or by having your technician check it for you. Tires designated as winter or snow tires will deliver even better traction than all-season tires. Before Anti-Lock Brake Systems (ABS) were invented, new drivers were always taught to pump the brakes instead of pressing down steadily, in the event of a skid on snow or ice. With the debut of ABS, however, just the opposite is true as the ABS does the pumping for you now, and much faster than any human driver can. That makes the ABS an important part of the winter traction equation, and a good reason to ensure your ABS is working properly. ABS and traction control both play important roles in helping you go through snow and other slippery conditions. When one wheel on a front-wheel drive car, for example, begins to slip, the traction control system senses that the wheel is spinning faster than the other one. The system engages the ABS to slow just that one wheel down and stop the slipping. Traction control doesn’t, however, mean you’re going to be able to go through deeper snow or have traction on ice, but just that it helps prevent loss of traction. On most vehicle rear-window defrosters, thin wires are embedded in the glass. When the defroster is turned on, electrical current flows through these wires, heating them and causing the ice to melt or fog to dry and disappear. On the front window, strategically placed vents direct hot air onto the surface when the defroster is engaged, melting the ice. You can speed up your defrosting time and reduce the amount of time you spend scraping your window, by using windshield deicer in the washer fluid tank. Not only will it help melt frost on contact while you’re parked in the driveway, but it will also wash away slush and road salt from your front window and help prevent ice from building up on the windshield as you drive. Most winter weather drivers have experienced the annoyance of frozen wiper blades. Fortunately there are winter blades that encase the wipers’ inner workings in a flexible rubber boot that prevents snow and ice buildup and help the wipers continue delivering a streak-free performance. No one has invented a wiper blade that won’t freeze to a window while the car’s parked however. A new Kickstarter project, anyone? Headlights dim as they age. It’s probably something you won’t even notice until you install new bulbs and see the difference. New headlight technology makes these lights whiter and brighter, enabling you to see further down the road as well as side-to-side. Headlights also tend to burn out in pairs, so if one headlight burns out, you know the second one won’t be far behind. Save time by replacing both at once. For heat to be delivered reliably throughout your vehicle, the heating and cooling system has to be in top working order and properly maintained, beginning with the coolant or antifreeze. Antifreeze flows through your engine to protect it from freezing and also to transport heat. That’s why it’s important to ensure antifreeze is filled to the proper level. As the antifreeze picks up heat from the engine, it passes through the heater core. When you turn on the heat in the car, air is warmed from the heater core and enters the passenger compartment. 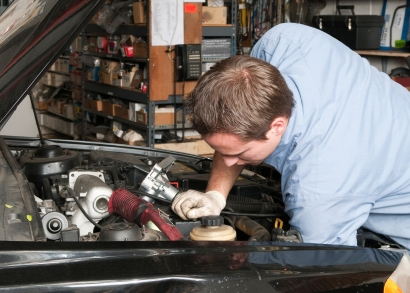 If your antifreeze level is low, your heating system won’t function properly. 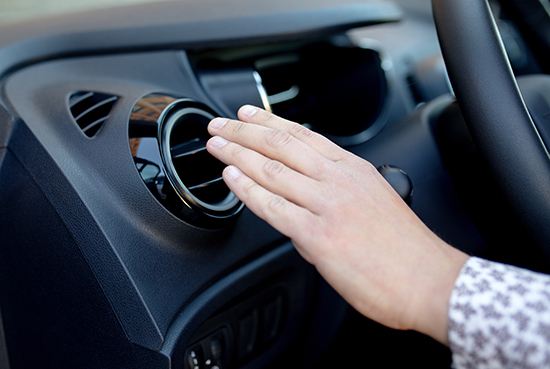 When the engine is hot, the thermostat opens to allow coolant or antifreeze to flow to the radiator to dissipate heat. When the engine is just started and cold, the thermostat remains closed, allowing the antifreeze and engine to heat up and provide heat to the passenger compartment. Thermostats can fail if you don’t top up the antifreeze, allowing the cooling system to become corroded. While it seems pretty straightforward – turn or press the switch and air blows faster or slower – the process of delivering heated air to the passenger compartment depends on several moving parts, one of which is the blower motor. The blower motor is responsible for moving the air. If you turn the fan on and nothing happens, it could be the result of a failed blower motor. Transporting warm air also depends on an air door actuator and blend door functioning properly. This actuator opens or closes the blend door that allows heated or cooled air to circulate through your vehicle’s air ducts. If the actuator isn’t working or the blend door is stuck, the door might remain closed and hot air can’t be delivered. Both blower motors, blend doors, and door actuators wear out and fail. If you notice a decrease in air flow or strange sounds when you turn on your heating system, it could be a sign of impending failure and should be checked out. This preventive maintenance will help ensure your vehicle’s heating systems are working properly, and that you stay warm behind the wheel this winter.